Every year, approximately 100 million lead-based automobile and other batteries are disposed of in the United States. Most of these batteries are properly recycled at the ten smelters currently operating in the United States. Quemetco and its affiliates operate three of these domestic smelters. Despite efforts to ensure that all domestic lead batteries are recycled in the United States, over the last decade there has been a meteoric rise in the number of batteries shipped to other countries for recycling. From 2002 to 2013, the amount of spent lead batteries exported from the United States increased nearly 20,000 times, with 1.4 billion pounds of spent lead-acid batteries exported in 2013 alone. Some estimate that 20% of all spent batteries produced in the United States are now recycled in foreign countries. Mexico represents the largest destination for exported batteries, having received over 77% of all exported batteries in 2013. Unfortunately, the country receiving the bulk of these exported batteries, Mexico, is by some estimates, over 35 years behind the United States in reducing lead emissions from secondary lead smelters. In the United States, the U.S. EPA and state and local air regulatory agencies have continued to tighten requirements for lead smelters, reducing the amount of allowable emissions and driving technological enhancements to further reduce emissions. 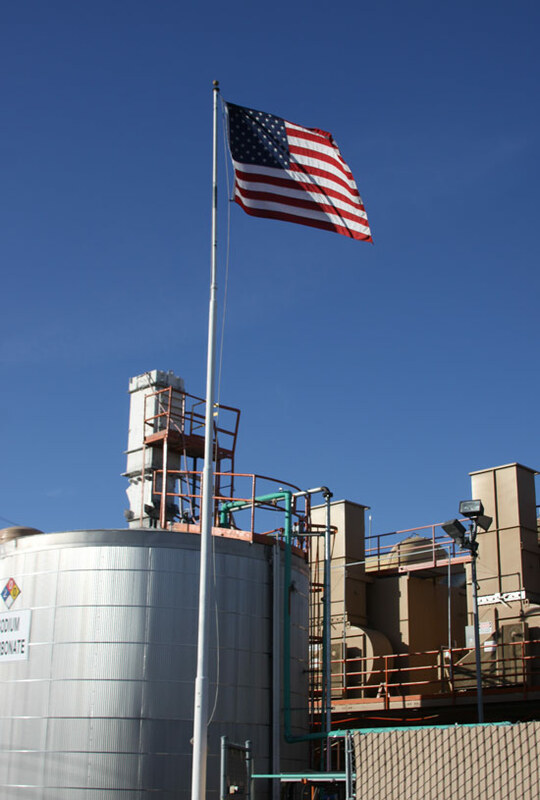 Quemetco and its affiliates have spent close to $100 million installing Wet Electrostatic Precipitators (“WESPs”) at its U.S. secondary lead smelters, thereby reducing lead emissions from these plants by over 95% and setting the industry standard that other domestic companies are beginning to follow. The regulatory story for countries like Mexico is vastly different, where government inaction continues to allow smelters to operate with very little oversight, resulting in antiquated facilities operating with very few pollution controls, limited oversight, and with no mandate to upgrade these facilities by installing state of the art equipment. In 2014, the Mexican government proposed rules to begin regulating lead emissions, but even if these rules were to be enacted and fully implemented, the Mexican policies would only resemble the U.S. EPA’s requirements from 1978. The average recycling facility in Mexico currently emits twenty times more pollution than analogous facilities operating in the United States. The shipment of billions of pounds of spent lead batteries from the U.S. to Mexico for recycling creates a significant environmental and health problem for the citizens of Mexico, especially for the poor and under privileged populations.